Better known in the industry as Bandish Projekt, Mayur Narvekar’s side project “Mosillator” has been representing India in Drum & Bass world-wide movement. 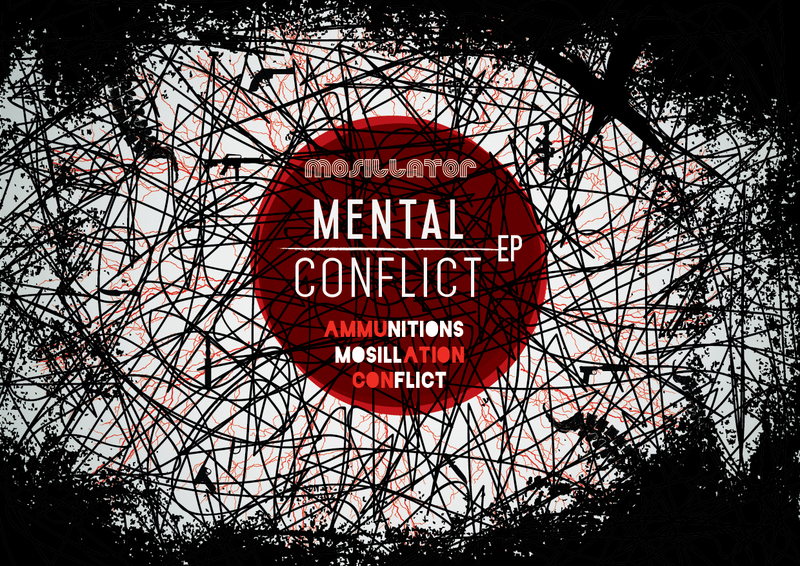 His 5th EP titled “Mental Conflict”, out on Generation Bass (Released on the 9th of March 15), is his natural progression as a composer, sound designer and futurist, following a dark & sinister theme throughout with an industrial texture within elements. ‘Ammunitions’ kicks off the 3-track EP with touches of ethnicity, followed by ‘Mosillation’s hypnotic phrases leading up to a new generation neuro-funk drop, finally closing with ‘Mental Conflict’s organized chaos in the form of half-step. Presenting Mosillator's collaboration with Photographer Vijit Gupta to come up with a Photo Series using T-shirts from Kulture Shop which also features in the music video for "Ammunitions". Buy the Featured T-shirts from Kulture Shop.